Carbon reporting from the world’s largest companies lacks consistency, making it almost impossible for stakeholders to compare one company’s performance easily and accurately with another’s, according to the 2015 edition of the KPMG Survey of Corporate Responsibility Reporting. Professionals at KPMG member firms reviewed the carbon information published by the world’s largest 250 companies in annual financial and corporate responsibility reports. They found that although four out of five of the companies discuss carbon in these reports, the type and quality of information published varies dramatically. For example, only half of the G250 (53 percent) state carbon reduction targets in their company reports and, of these, two-thirds provide no rationale to explain why those targets were selected. The type of emissions reported varies considerably. While a majority of reporting companies report on emissions from their own operations (84 percent) and from purchased power (79 percent), only half (50 percent) report on emissions in their supply chains. Even fewer, less than one in 10 (7 percent), includes information on emissions resulting from the use and disposal of their products and services. Around half (51 percent) of the companies that do discuss carbon in their company reports refer readers to further detailed information in alternative sources such as the CDP database for investors. The other half does not. The KPMG study includes guidelines on data, targets and communication that KPMG member firms believe companies should follow when publishing carbon information in annual financial and corporate responsibility reports. • One in five large companies in high carbon sectors such as mining, construction and chemicals do not report on carbon in their annual financial or corporate responsibility reports. • European companies have a higher quality of reporting on carbon than companies elsewhere in the world. • Companies in the transport and leisure sector produce the highest quality reporting on carbon by sector, and oil & gas companies the lowest. • Only half the companies that report on carbon in their annual financial or corporate responsibility reports explain how cutting carbon benefits their business. 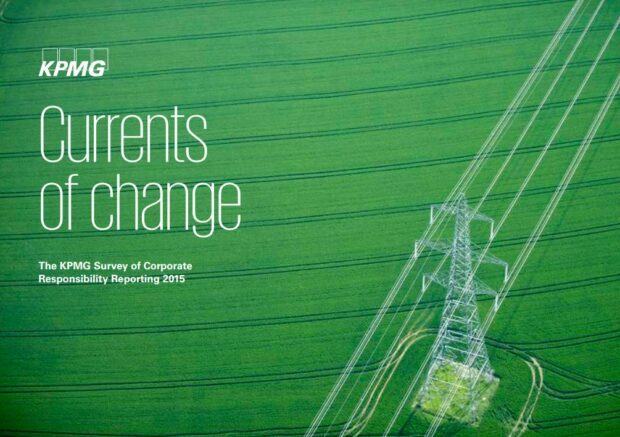 The KPMG Survey of Corporate Responsibility Reporting includes a view of global trends in CR reporting based on analysis of reporting by 4,500 companies across 45 countries. It shows that the rate of CR reporting is now higher in Asia Pacific than it is in Europe or the Americas (79 percent of companies in Asia Pacific report on CR). The highest rates of CR reporting are now found in emerging economies such as India, Indonesia, Malaysia and South Africa. These high rates are often driven by regulation, either from governments or stock exchanges. The research also shows that it is now standard business practice to include CR information in the annual financial report – more than half (56 percent) of the 4,500 companies studied do this. 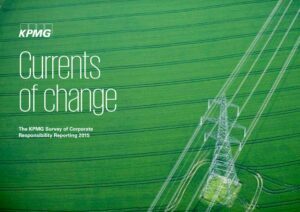 Hey Buddy!, I found this information for you: "KPMG Survey of CSR Reporting 2015: ‘Corporate Carbon Reporting needs overhaul’". Here is the website link: https://www.duurzaam-ondernemen.nl/kpmg-survey-of-csr-reporting-2015-corporate-carbon-reporting-needs-overhaul/. Thank you.